The 31-year-old defeated his Russian opponent 6-4, 6-7(5), 6-2, 6-3 in a tight contest that lasted three hours and 15 minutes. 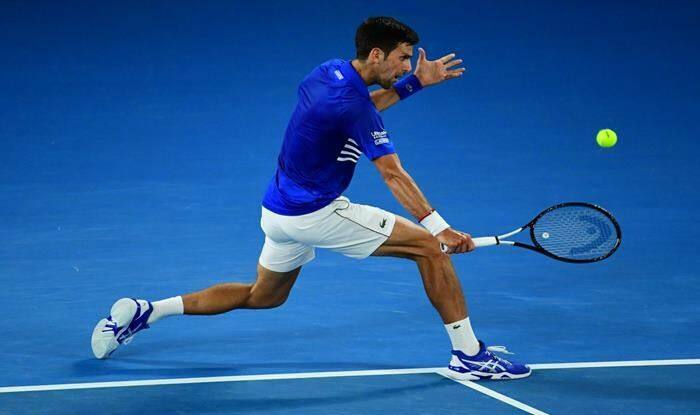 Australian Open: World number one Novak Djokovic entered the quarterfinal round of the ongoing Australian Open after edging past Daniil Medvedev of Russia in their round of 16 clash of the men’s singles event at the Rod Laver Arena on Monday. The 31-year-old defeated his Russian opponent 6-4, 6-7(5), 6-2, 6-3 in a tight contest that lasted three hours and 15 minutes. The match saw grueling competition between both the players right from the first set. Djokovic saved one break point in the fifth game to take a 4-2 lead in the opening set as his counterpart committed three straight errors. Medvedev was under pressure but he recovered soon by reducing the points gap to 4-5. The Serbian player, however, sealed the next game with a backhand shot to clinch the first set which lasted 39 minutes. The second set proved to be physically daunting for the players. Djokovic raced ahead in the set with a 5-1 lead giving an impression of another an easy second-set victory. But Medvedev did not let go of the set and won three straight games to make a comeback. The set went into the tie-break round which was eventually won by the Russian player. Medvedev was in a strong position in the third set as well as he was leading 2-1. Djokovic, however, turned the tables on his opponent by keeping his momentum intact throughout the set. In the fourth set, Djokovic built pressure on Medvedev by bagging some quick points. The Russian battled hard to hit back but failed to recover from the trail. With a forehand winner, Djokovic sealed the set and match to advance further in the competition. Next, Djokovic will be up against Japan’s Kei Nishikori to cement his spot in the semi-final of the Grand Slam event.